I am 28-year-old interior architect and furniture designer. I am currently doing master's programme in Aalto University. My taste in design is versatile. I especially like environmentally friendly and durable choices. My favorite materials to work with are wood, glass and ceramic. Interior architect and furniture designer, South-Easter Finland University of Applied Sciences, Kouvola. 2013-2017. Exhange studies, Instituto Politécnico de Castelo Branco, Portugal, 2015-2016. Vocational Qualification in Upholstery and Interior Decoration, North Karelia college, Kitee, Finland, 2009-2011. General Upper Secondary School, Rautalampi, Finland, 2007-2009. 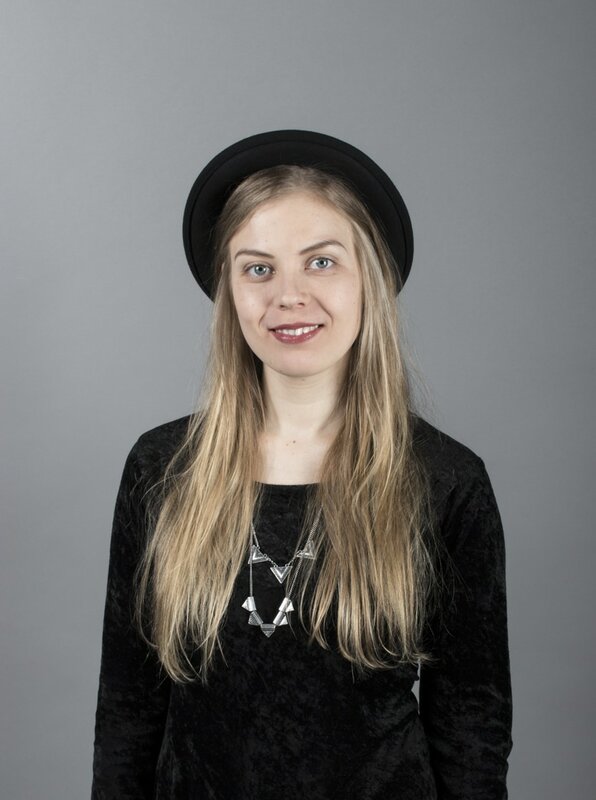 Susan Elo Oy, Helsinki, Finland, Junior designer, 05/2016-09/2016. I am design Oy, Lahti, Finland, Trainee, 03/2015-08/2015. OFRD Oy, Kouvola, Finland, Promotor, 09/2014-08/2015. Pitkänmäen Puusepät Oy, Nurmes, Finland, Kitchens design and sale 05/2014-08/2014. Puukangas Puusepät Oy, Valtimo, Finland, Carpenter, 02/2012-08/2013. Habitare 2017, Henna Nuutinen, Helsinki, Finland. Imm Cologne -The international interiors show 2017, Pure studios, Cologne, Germany. Kaivo. Formex 2017, Stockholm. Hexagon lamp. Habitare 2016, EcoDesign, Helsinki, Finland. Hexagon lamp. Habitare 2016, Xamk, Helsinki, Finland. Kaivo. Kuvaa ja muotoa Kouvolassa, 04/2016, Kouvola, Finland. Hexagon lamp.